NATO is not a "threat" to Russia's national security, says Russian Foreign Ministry. Russian Foreign Ministry official Maria Zakharova has called the information reported by the Western media stating that NATO is called a "threat" to Russia's national security in Russia's updated national security strategy "unscrupulous speculation." 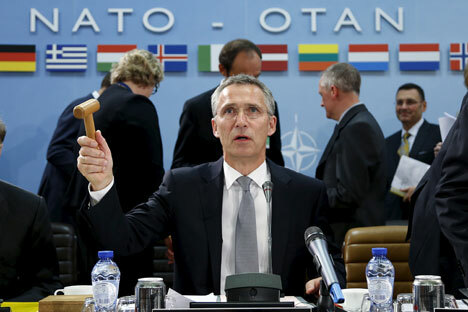 "As to the wording that defines NATO as a 'threat,' the document doesn't have them […] It is enough to read the text of the document attentively to become convinced that the said allegations are ungrounded," Zakharova was quoted by the Russian Foreign Ministry as saying. Moreover, she "the text states expressly that the Russian Federation is ready for the development of relations with NATO on the basis of equal rights for the purpose of strengthening universal security in Europe and the Atlantic." "The depth and content of such relations will depend on the Alliance's readiness to take into account the lawsuit interests of Russia and respect the norms of international law," Zakharova said. She said such publications in the Western media are "unscrupulous speculation." "We believe we are talking about attempts to deliberately distort the content of the national security strategy of the Russian Federation and to increase the degree of tension in Russia-NATO relations, which are difficult as it is," she said.